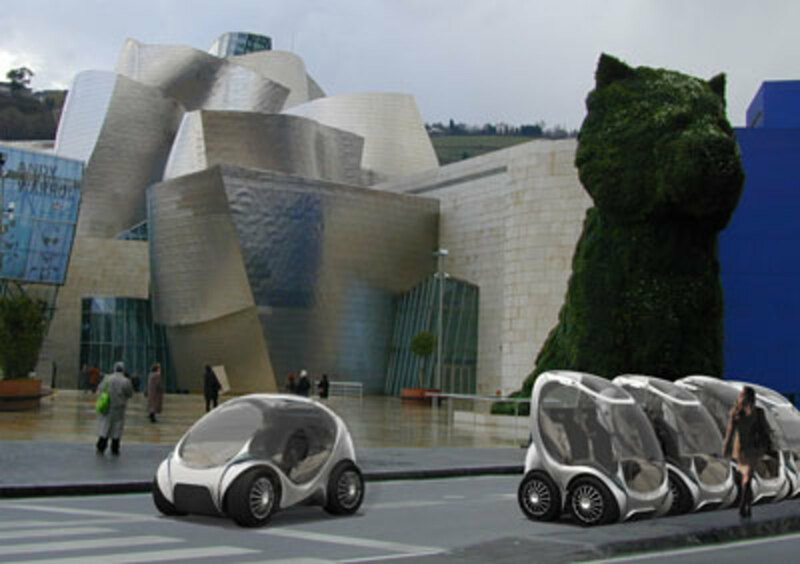 Hiriko CityCars line up outside the Guggenheim Bilbao in this artist&apos;s conception of the foldable vehicle. Beyond bike-share, easier than Zipcar, the next new thing in getting around town with a light carbon footprint may be Hiriko, a two-passenger electric vehicle developed by the Changing Places research group at MIT’s Media Lab. A production run of 20 prototypes begins next year at Vitoria Gasteiz, in northern Spain. (Hiriko means “urban” in Basque.) But it may be several years before they see wide use. Anyway, don’t dream of buying one of your own. The wee cars aren’t meant for private ownership. 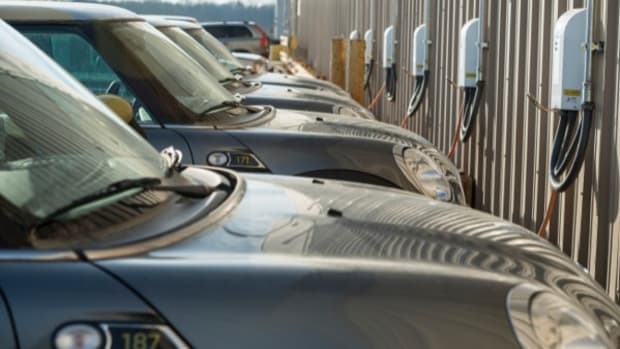 Instead they will be stationed in fleets, as complements to city transit systems. Likely first locations include Barcelona, Berlin, Malmö, Hong Kong, and San Francisco. The car’s miniature size, light weight, and ability to fold are achieved by eliminating the bulky mechanical linkages conventional cars use for acceleration, braking, and steering. In their place, “by-wire” technology transmits information electronically to the four wheels from the driver, who manipulates a yoke much like an airplane pilot does. The wheels are incorporated into identical modules along with electric motors for propulsion. They also control steering and braking. Since all four swivel, the car can pivot on its own axis. 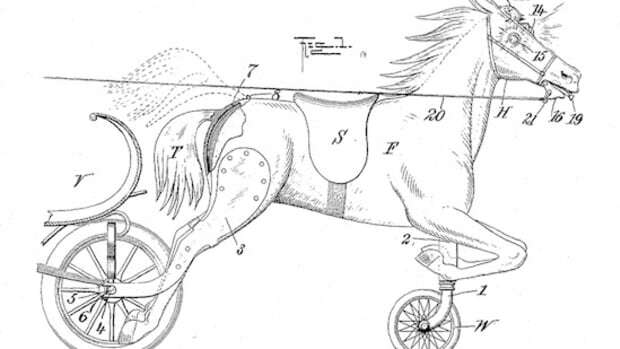 Entirely battery powered, it can travel 70 miles per charge. When is Hiriko coming? Sometime after the day after tomorrow.